France has said a final fond farewell to rocker Johnny Hallyday, who died on Wednesday (December 6) following a battle with lung cancer. Paris was brought to a standstill as hundreds of thousands turned out to gain a glimpse of the funeral cortege, which was followed by hundreds of bikers in homage to his passion for Harley Davidsons. Fans cheered and wept as his coffin was driven from the Arc de Triomphe along the famous Champs-Elysées. "Johnny Hallyday: rock \\'n\\' roll until the end." The ‘people’s tribute’ outside went up to the doors of the Madeleine church, where the public sang along as members of Hallyday’s band played instrumental versions of some of his songs. 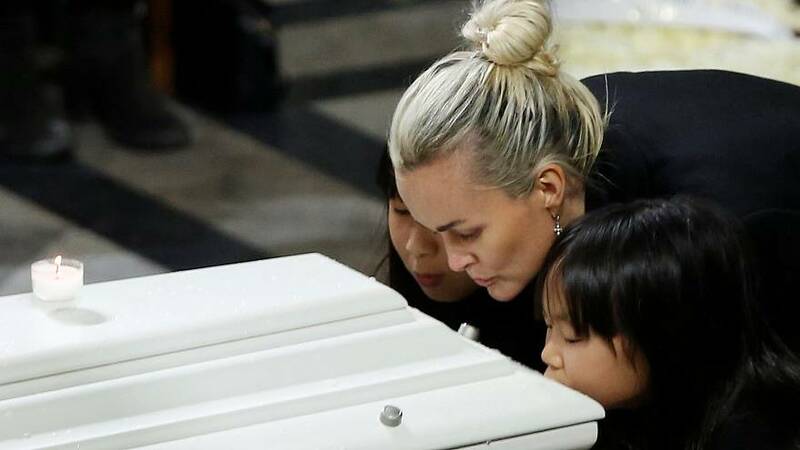 Inside, some of the biggest names in French entertainment attended a service, at which President Emmanuel Macron also said a few words. “Johnny was more than a mere singer. He was life. Life at its most powerful, bright and generous. And he was part of ourselves, a part of France”, he said. He is expected to be buried near his home on the French Caribbean island of St Barts. Known as ‘the French Elvis', the singer, musician and – at times – actor was a national idol. He had 32 number one albums and sold over a hundred million records. On Friday (December 8), the Eiffel Tower was lit with the words ‘Merci Johnny’ in tribute to the man who was part of the French entertainment scene for more than 50 years.